Modern horror began with Night of the Living Dead 1968. Despite mainstream conventional wisdom Psycho 1965 is not a horror film. It is however the harbinger and forbearer of the modern horror era. In Psycho Alfred Hitchcock created motifs that remain prevalent in the genre today: the contemporary setting, the slasher scene, the final girl. As a template Psycho works perfectly for the horror genre so much so that John Carpenter decided to remake it. Carpenter was a prospect before Halloween 1978. He had already made Dark Star 1974 and Assault on Precinct 13 1976. Halloween confirmed him as auteur. The Thing 1982 confirmed him as horrormeister. His purple patch ended with They Live 1988. It is testament to the power of his best work that he remains revered even though as a horror director his record is 5-5: his first five horror films rate from fair (The Fog 1981) to great (Halloween). His last five range from misshapen (In the Mouth of Madness 1992) to dreck (The Ward 2011). In 1980 Muhammed Ali was all but murdered by Larry Holmes. On 2 July Wanderlei Silva was knocked out by Chris Leben in 27 seconds. It can be torture to witness a changing of the guard. It is reminder of man’s mortality. Horrormeisters are mortal too. In the last two years Wes Craven and George A Romero have directed movies that exclaim their deflation as storytellers. So too has John Carpenter with the release of The Ward. The critic Mark Kermode1 cites ‘the madhouse’ subgenre and mentions Shutter Island 2010 The Ninth Configuration 1980 and Shock Corridor 1963. The most obvious films in this subgenre are One Flew over the Cuckoos Nest 1975 and Girl, Interrupted 1999. The aforementioned pictures are majority drama but the subgenre does lend itself to horror: Bad Dreams 1988 and to a lesser extent A Nightmare on Elm Street 3: Dream Warriors 1987. This is because the subgenre is a gift to the horror plot. The location is contained, the layout is labyrinth, the cast is limited, the hero is trapped. The title sequence is stark enough to evoke the simplicity of Halloween’s. Medieval drawings give way to photographs of lunatics in various torture devices administered by the sane. Yet the suggestion that this sequence infers is not included in the rest of the picture. The film opens to Kristin (Amber Heard) running through the woods in a negligee which would show off her figure if she had one. For no narrative reason the film is set in 1966 – but the dialogue is from 2010. Teenager Kristen is admitted to a psychiatric hospital and placed in the restrictive ward. There are other patients on the ward – including a ghost. Kristin turns out to be a politically correct fantasy who takes no nonsense from adults – especially men. In one sequence she knocks out a nurse and two male orderlies (she includes a quip). Herein lies the problem. The only good thing about the original screenplay is the pitch: Girl, Interrupted meets The Ring 2002. As bad as the story is Amber Heard serves to make it worse. If performances are only as good as the director then the direction can only be as good as the actors. Heard gives the same performance here as she did (with a different director) in And Soon the Darkness 2010. The woman has one look, one tone and no talent. She is the epitome of Hollywood casting. It is the prime symptom of celebrity culture – all sizzle due to lack of substance. To wit Rooney Mara stands in for Noomi Rapace. Be this as it may John Carpenter approved her. His name possesses the title. This could be branding and/or ego and as such all faults lay at his doorstep; the bad acting, bad dialogue, boring kills and absence of tension. This is Carpenter’s first film in 10 years. It proves Ghosts of Mars 2001 was no fluke. Clint Eastwood is 81 and an A-list director. 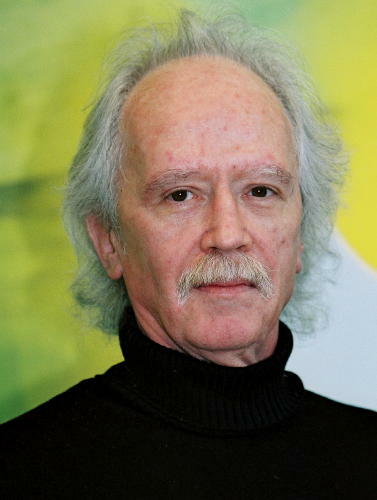 John Carpenter turned 63 this year. He may have another film in him but the last 20 years suggest otherwise. Hollywood has remade the cherry of his filmography to critical and artistic disdain. The Ward has been released as a B-movie. Muhammed Ali is paraded before a loving but cringing public. It can be argued John Carpenter is the best of the Masters of Horror. Their names are legend. Their work is done. It took them thirty years to get there (Night of the Living Dead – Scream 1996). The auteur torch has since been picked up by Guillermo del Toro and The Innkeepers 2011 could reveal Ti West as a new master. Horror will continue to witness adventure experimentation and ingenuity in the next 30 years. One of the great things about the original masters is their accessibility. John Carpenter, Romero and Craven (amongst others) can be seen in documentaries (Never Sleep Again 2010, Nightmares in Red White and Blue 2009) and on the convention circuit. They impart their knowledge and experience whilst entertaining and elucidating the horror folk. There are hours of these clips on Youtube2. They’re a better watch than The Ward. The Ward had a limited release Friday 8th July.